If you have been to our previous events you will know you are in for a treat! This will be our 5th year running Christmas In July and we work hard to make it better every year. 5 years of preparing demo’s, ordering fabrics, planning surprises and arranging sewing sessions is great fun and from your response we know you love it as much as we do. So, what exactly happens at Christmas in July? Sounds a bit weird. Well, yes, it does sound weird to be thinking of Christmas when our precious summers are all too short. However if you make crafts or gifts then you will know it pays to start early, even if that’s just planning and gathering materials. 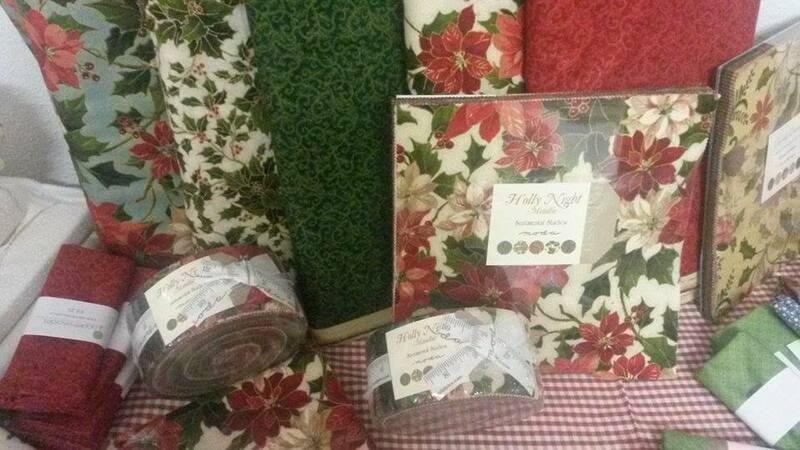 During summer the festive fabrics begin to arrive, some as early as May. As they arrive we hide them away from eager eyes and prepare projects, kits and patterns based on them. 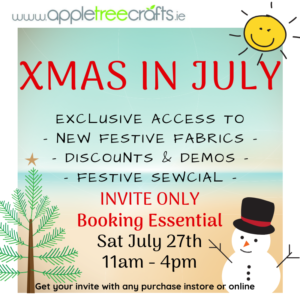 We showcase these at Christmas in July where attendees are first to see the new season prints, get exclusive one-off discounts, tips and hints, demos and free stuff! So on Saturday July 27th, when you arrive at the venue, you will show your ticket and find a seat and wait for the show to start! The 3 of us, Marie, Trina and Sinead, will take turns demonstrating different techniques or patterns. We will show examples of simple projects to make and share some tricks that we find helpful. After the demo’s is SHOPPING TIME! This seems to be everyone’s favourite bit judging by how fast the fabric disappears. You can take advantage of special once-off offers, which we never do at any other time on brand new fabrics, you can also grab some fabulous panels, pre-cuts and prints before they sell out, which happens sometimes! We will break for lunch from 1-2pm, bring your own or pop out to one of the many great places in the village. 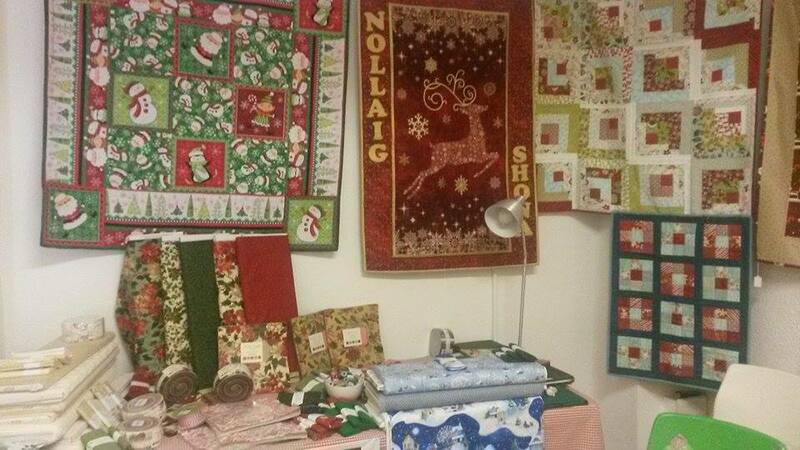 In the afternoon you will be welcomed to our Seasonal Sewcial, a gathering of festive fabric lovers.You will have the opportunity to do some hand sewing and chatting over a cuppa, learn some new stitches or pass on some of your own. We will provide materials, needles, pins etc. 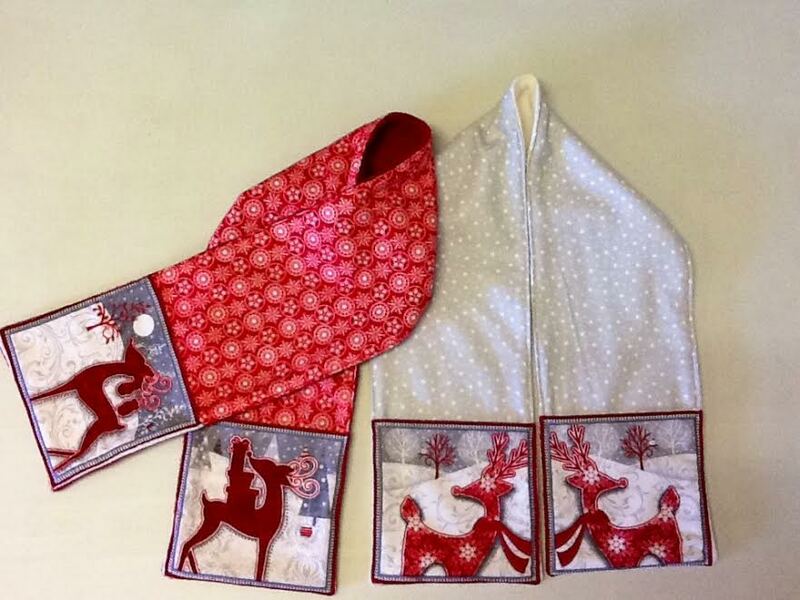 If you are eager to get started on your Christmas purchases and projects then you can book a seat for machine sewing. These spots will be limited and as there is no extra charge for these we recommend booking early. Bring your own machine. We know there are those among you who delight in anything Christmas related, there are some of you who love to begin making projects early and there are those among you who have been and continue to be amazing customers to us. You will automatically receive an invitation when you spend €50 or more in-store or online during May, June and July. It can be over 1 or more purchases. If it’s 2 or over, please show both receipts in order to receive your invite.When you have your invite you can then book in, reserve a seat for afternoon sewing, mark it in your diary and dig out your flashing earrings! Spaces are limited, we booked out every year, so book early to avoid disappointment.